First things first. It's a prepay. Which makes sense for the most part, but also, you must pay first and there's no refunds. Usually, this wouldn't be a problem but when the place has something wrong, like today, this is a major problem. I went there with my little brother to have a bit of fun gaming as we were on vacation from Canada and wanted to play some games. We enter the shop, looks nice, purchase 2 hours (6$ each, 12 in total), get to our seats and turn on the computer. Less than 10 minutes later, the Internet shuts down and no one can play anything. I got kicked from my ranked csgo game, and 30 minutes later of just waiting, the Internet finally starts up again. Banned from competitive for 2 hours cause of that, so I switch to my alt to play. Works fine for 30 or so minutes, with a ton of lag spikes in between, never working properly for more than 5 minutes. Then, Internet shuts down again. Another comp ban on my alternative csgo account. Not cool. Also doesn't stop there. We go there at 2pm, play till 2:10, Internet shuts down from 2:10 to 2:45, then play again from 2:45 to 3:15, then Internet shuts down 315 to 4, and after a small time of Internet being up, Internet down again. All in all, we got to play 1 hour of rough, choppy laggy gameplay and waited for 2 hours doing nothing. And the kicker? We need to go now as we have a family dinner and the guy at the front says he can't do anything about the 1 hour that we didn't get to play. Lost $6 and wasted 2 hours, as well as banning my accounts. Not fun at all, got to do nothing, wouldn't recommend to anyone until they fix their stuff. Tl:Dr, Internet issues and no refunds can screw people over quickly, wouldn't recommend until they fix their stuff as well as having some sort of backup or even giving a free hour to people who waited for the Internet to come back up. 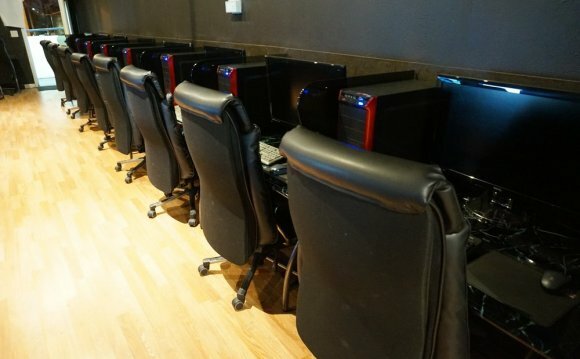 C & C Internet cafe "COUNTER STRIKE"
C & C Internet cafe "RECAP 2008"